This is a brilliant location for permanent living or for a holiday home. Situated just a few minutes walk from the beach and the same distance from local shops and restaurants it offers the “within walking distance of “ criteria which the majority of buyers are looking for. Atalaya Baja is situated on the New Golden Mile, between Marbella and Estepona and the nearest main town facilities are at San Pedro de Alcantara which is literally only a few minutes away. 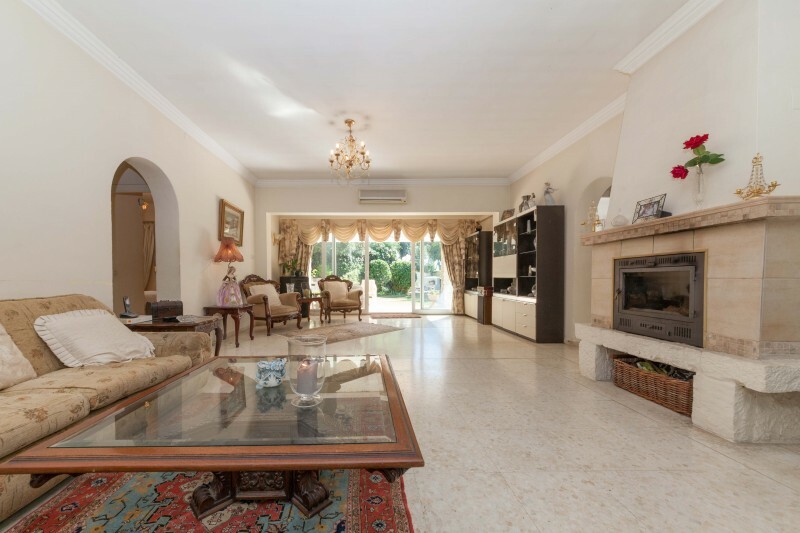 The villa sits in a flat corner garden plot which is surrounded by mature hedges and offers a good level of privacy. There is a swimming pool with roman entry together with an extensive covered terrace and a built-in bar for those outdoor summer parties. In the house the living room is exceptionally large and includes a and dining area and sitting area with cassette style wood burner fireplace. From here there is direct access out to the terrace. 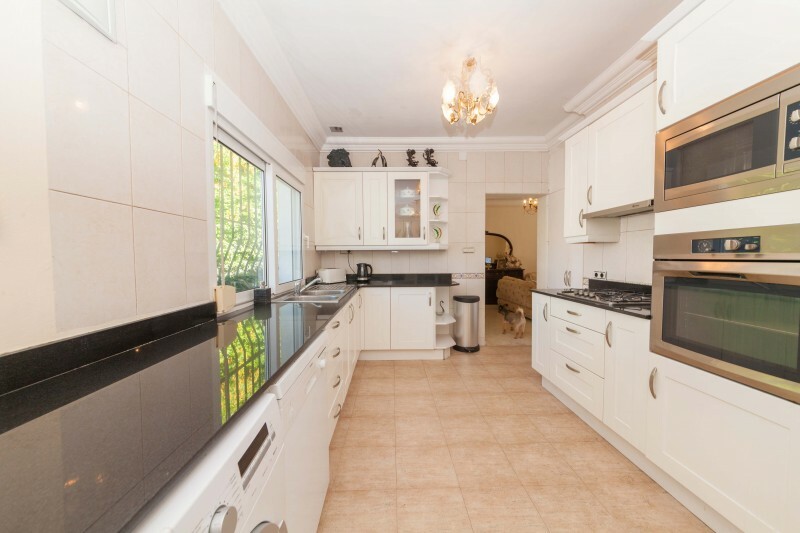 The kitchen is a good size with black granite work tops and a full range of integrated appliances. 2 of the bedrooms have en suite bathrooms and the remaining two share a bathroom plus a further guest w.c. with wash basin. This could easily be made into a fourth bathroom. The property is a little dated and would benefit from some modernisation but offers huge potential to provide a great family home. 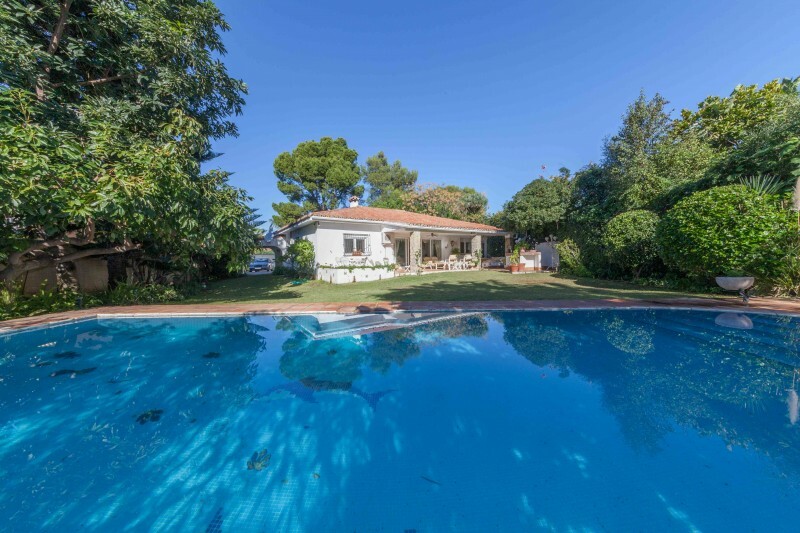 If you would like more information or would like to view the villa why not give us a call on (0034) 952 90 52 00 or alternatively click on the Further Information link below and we will get back to you.